I finally stopped by the brand new West Elm Market here in DUMBO and fell in love with these Heirloom Scissors. It’s a beauty of a store, filled with fantastic gift ideas. Oh, and they make delicious coffee. Stop by Dar on Atlantic, you can get the same scissors for half the price. Those are sweet scissors! I want to find some like that. 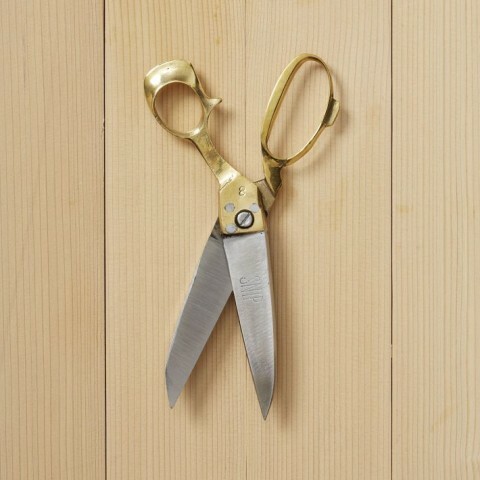 I bought 2 pairs of Heirloom Scissors at http://rupalee.rupalee.com/Scissors.aspx. rupalee.com offers the heirloom scissors in many different sizes. I bought the rupalee heirloom dressmaker scissor and Home and utilitairan heirloom scissors. Both are same heirloom quality. Dressmaker is larger than Office size. Both of the heirloom scissors cut extremely well. I love them. Hope this helps.